Mooralala Marwada | OK Listen! 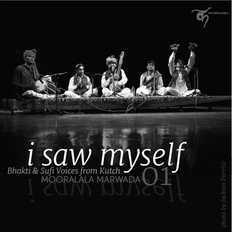 Mooralala belongs to a lineage of Meghwal singers, who migrated from Rajasthan to Kutch about 300 to 400 years ago. Now settled in the village of Khadeer in Kutch, Mooralala says he’s an 11th generation singer, and that his ‘santaar’ (tambura) must be at least 130 years old! 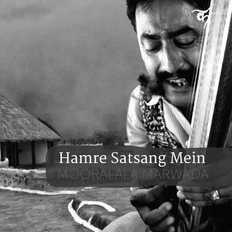 When he first heard the sound of the tambura, he recalls that he was 8 years old, and he was so enchanted, he couldn’t sleep!. 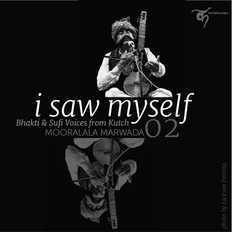 He moves with ease between nirguni bhajans, traditional folk songs and Sufiana kalaam. Perhaps the most striking quality of Mooralalaji’s singing is an irrepressible and infectious joy. He has an endearing habit of bursting into song when the inspiration strikes, no matter where he is… on the street, in a bus, or on the phone!